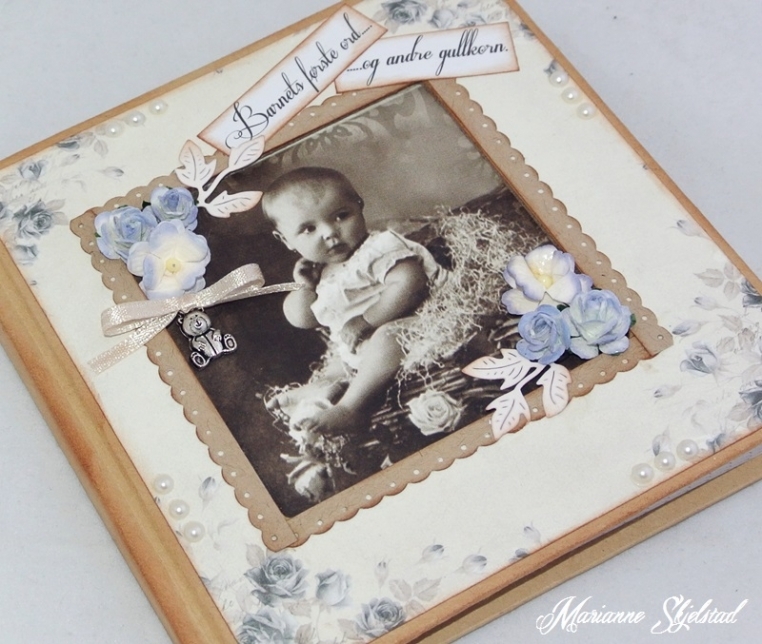 Here you have a small framed book to be used when documenting a childs first words and all those funny things that children say their first years. This makes a lovely keepsake for the future. 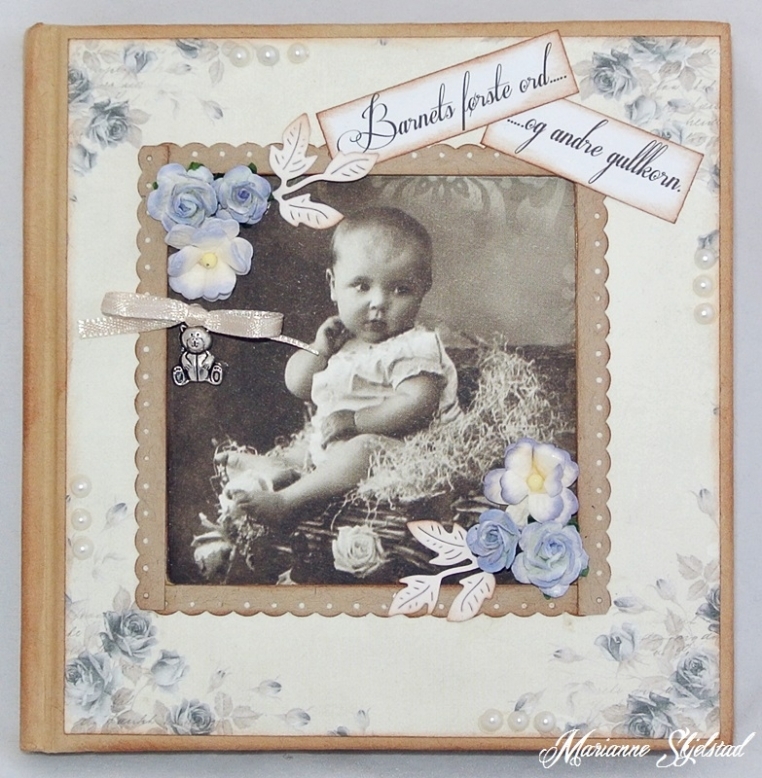 I have used the blue Alma’s Sewing Room papers and a picture from the collection From Grandma’s Attic. I also added some flowers, leaves a bow and a small charm. The texts are printed on the computer.